Pros: It is easy to upload and remove documents on Audit Dashboard. Audit Dashboard allows users to access financial data at any time as long as users have access to the Internet. Conventional processes involve accessing the office, computer or network where your data is stored. This can be very inconvenient when users need to refer to data quickly. Therefore, it works great for organizations with remote employees. If you need someone to access data on your behalf, they can do so, without having to login to your personal computer. Simply grant them login information, and they can access the data with their own computer, without the need to install any software. Cons: One essential concern is data security. When being hacked, financial data could be technically compromised. Financial data might be safer when stored locally. Audit Dashboard has too many little features. It can be difficult for first time users to use Audit Dashboard without tutorials. Training can be costly. 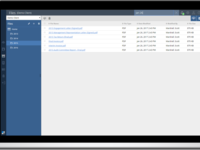 Audit Dashboard can get slow when processing or sending or interacting with huge files. Also, things get delayed due to system errors. Therefore, it can be costly for organizations to maintain the system. Thanks for your 5 Star review Hye. We're thrilled to hear you've found it easy to upload and remove documents on AuditDashboard! Security is extremely important here at AuditDashboard. That's why (1) data is encrypted in transit and at rest, (2) we use world class data centers with the highest physical security and; (3) we under go a SOC2 Type 2 Audit on an annual basis. If you ever have any questions about training or security, don't hesitate to ask. Our customer success team is here to help! Pros: I like that the ease of use when it comes to tracking the documents we have given the auditors. It makes it easy to coordinate my list of outstanding items with the auditors' list of outstanding items. To me this is a good way to save time and energy. Cons: There were documents we had uploaded that the auditors were unaware of. I'm not sure if it can be set up to email the team for documents received, or if there is an easier way for them to see what's been given. Not sure if this is a dashboard issue or an auditor user issue. Overall: I think the biggest benefits were making sure we gave the auditors all their requested items, and being able to track more easily what we have given them and what we have still outstanding. Thanks for the fantastic review Daniel! We're glad to hear that you found AuditDashboard so easy to use and that it helped you save time and energy. Automatic email notifications are easy to setup. We'll reach out to your audit team to let them know. With a click of a button they can receive an email notification each time you upload a document, leave a comment or assign a request to them. Pros: The paperless aspect is the most important positive for me. Ease of dragging files into the dashboard is a close second. Cons: I would like to be able to break out the balance sheet accounts and have the auditors indicate what they need for each account. I would like to be able to enter notes to the auditors if there is no information available for a certain request. I would like to have a flag for the client user to be able to indicate when I have completed a section so I can hide from my view those items that are complete. Overall: Streamlines audit prep. Auditors are provided with everything needed. Thanks for taking the time to leave a review and share some excellent feedback Debora. Each request list is fully custom. If you'd like to break out the balance sheet accounts speak with your CPA firm. Leaving notes for your auditors is as easy as leaving a comment. Great suggestion about hiding completed sections! Pros: The ease with which i can access my financial information is a great advantage while using AuditDashboard. Transfer of files is also done in a professional way further making the whole process smoother. 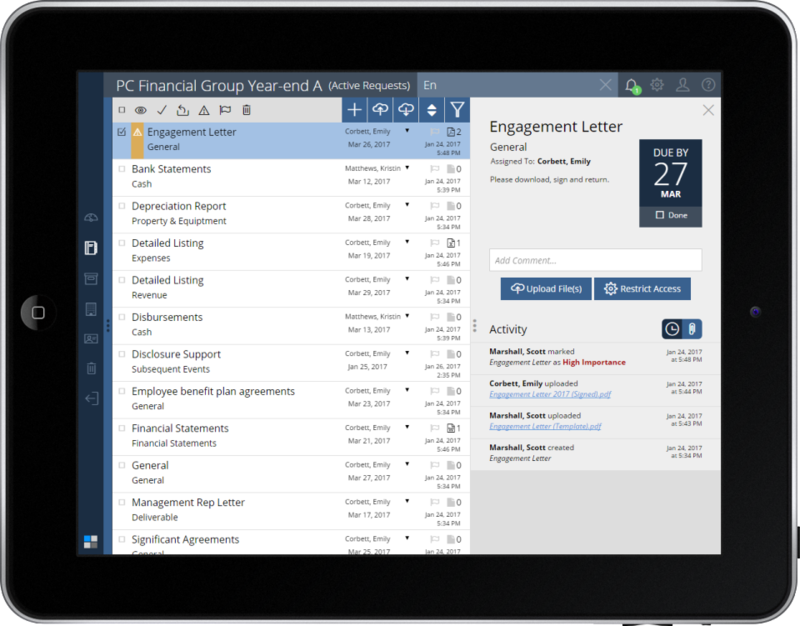 Pros: The software makes it easy to securely share files with our CPA firm and other staff working on our annual audit. You can easily categorize the files and know what you have or what is missing. There is less back and forth between the CPA firm and the client about which documents have been sent or are still outstanding. Overall: It is a secure and easy method of transferring and tracking PBC files from the client to the CPA firm for our annual audit. It makes the transfer of information secure and more organized. Thanks for your glowing review Toni! Pros: The software is easy to access and responsive to changes in users and requests. Audit personnel make changes that are seen by the client as soon as the webpage is refreshed. Cons: Users are set up under a different section from the request list and must be added to the engagement as a second step. In addition, the email invitation to a new user is not sent automatically, which can cause a delay if the invitation is not manually initiated. Overall: Our overall experience with AuditDashboard has been positive. We are particularly satisfied with the support we have received from the representative who worked with us to implement the software for a test group of engagements. He assisted with training our personnel remotely and responds timely to questions/issues. With his assistance, we successfully implemented AuditDashboard on a sample of 5-7 engagements within 4-6 weeks. MCM's mission is to help both our team and clients succeed and to provide tools to team members that ensure clients receive the best possible service. To this end, we are constantly reviewing technology advances in order to implement tools that support progressive service delivery. 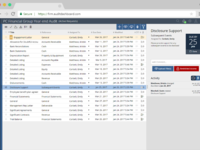 We have not yet completed a full cycle with AuditDashboard and therefore are still evaluating efficiencies and client feedback. We were able to upload almost everything for the authors to review beforehand. Perfect!! Thanks for taking the time to share a review Michele! If you're finding the email notifications disruptive, you can turn them off anytime. Changing notification type and frequency is really easy, just log-in and navigate to setting in the top right hand corner. The Dashboard was a bit complicated to navigate. Pros: The capability to show the progress of project completion. Auditboard gives you daily, weekly updates. The capability to allow feedback . Cons: The navigation, It was sometimes difficult to determine what was being asked of whom. There was a repetitiveness to the program that was a little confusing. Thanks for making time to leave a review and share your feedback Annette. Each request list is fully customizable and each request can be assigned to specific individuals. Be sure to raise this point with your CPA firm. It's important to determine what is being asked of whom by assigning requests and that there's no repetitive requests on the list. Pros: I enjoy the commenting function a lot. I like the filtering available and how you can complete items and mark them important. Cons: I wish there was a way to access prior years after rolling forward. I also always have a hard time remembering how to add a user in our office to an engagement. Overall: It's secure and easy to use. Thanks for the glowing review Heather! It's great to hear you're taking advantage of the functionality to mark requests as important. 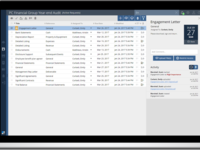 After completing an engagement in AuditDashboard it is really easy to roll them forward and access prior engagements. Both Professionals and Clients love this because it makes it easy to update what was previously provided. If you want a hand rolling your first engagement forward don't hesitate to each out to our Customer Success team. They're almost always available to help! Pros: Uploading documents without worrying if the attachments going through or not since you can see and verify them immediately. Cons: At first I had a hard time register / logging in and found it a little unfriendly when searching for an item, but I get used to it now. Overall: Look up a submitted items any time without going through multiple emails. User friendly and easy to get set up. Pros: I liked simplistic layout and how user friendly the site is. It was so easy to navigate and set up to get started. Cons: I couldn't figure how to remove a file if it was placed in the wrong folder. Didn't find a solution in the help categories. Overall: It was just easy for everyone to use and not much training needed to go in using the software. Thanks for taking the time to leave a review and share your feedback Tiffany. Excellent suggestion. Our customer success team has just added an article in our Knowledge Base about deleting files. Simple and easy from a client standpoint. Very straight forward. Pros: Easily upload hundreds of papers to our auditors. Easy to use on the user end. Nothing too complex. Cons: I could not find the right function to "click" an item to be done. I had to simply write in each title what was completed. Thanks for making time to share a review Jordan. 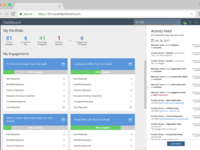 Loved hearing that you found AuditDashboard simple, easy and straight forward from your standpoint. Your point about marking a request as done is well taken and something our team is really focused on at the moment. Thanks for sharing your feedback! 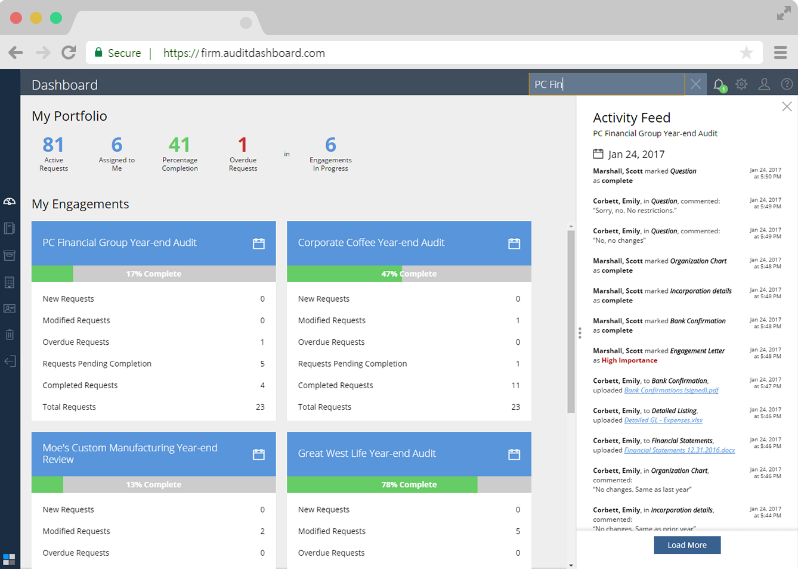 AuditDashboard is so easy to use. You just upload, review stuff and make corrections with ease. Pros: How easy one can post stuff from PC to Dashboard. Just remember user name and password, you can work with any computer fro m any location with internet connection. Cons: Nothing, except to remember password! Indexing and finding stuff can be a little tricky. Placing some of the menu items in easy format can increase better use. Overall: The ability to share documents right from my PC without copying and postage charge. Thanks for sharing your feedback Christopher! The product was easy to use, upload of items was easy, able to add comments. Pros: Use of use. The software was easy to use, east to add items, add comments in different sections. Easy to upload documents, files, any items pertaining to the audit. Cons: The update of items completed, telling when I have completed all tasks. Knowing when all items have been completed and updated in the software. Overall: Able to add items to the software, helped to streamline documents sent to our auditors. Easy to communicate to auditors in advance and give them the exact items that they need. Cons: need set up two owners, and one item needed to delegate to two staff, added request on dashboard needs to show what was added, e.g. ID no. Overall: The audits are more manageable, accessibility to all staff involved in the audits, saves time, and definitely will recommend to others. 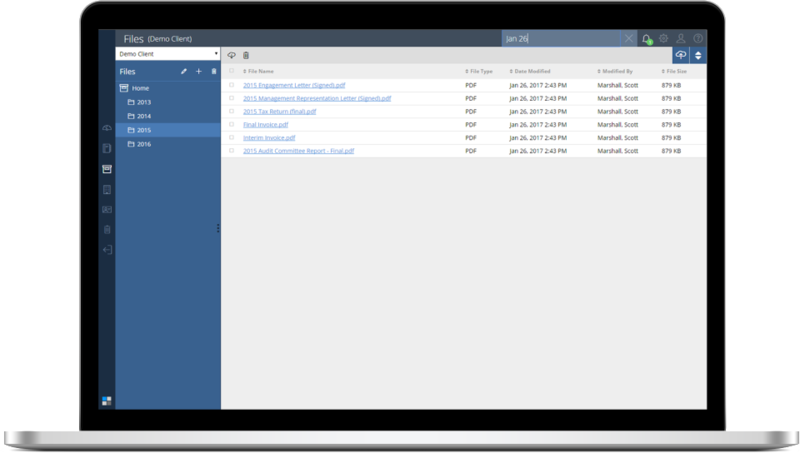 Pros: With Audit Dashboard, it was easy to upload documents, track which documents were still needed, and update any information that changed. WOW. Easiest Audit Ever. Thanks for sharing Laurie! And a perfect score... we're blushing. Organizational tool for tax season! Pros: I like most that we can categorize our information inquired about from the client; they can leave responses; we can mark complete. Cons: Many of my clients (for various reasons) find the software not user friendly. They seem to upload duplicate information and would like the ability to delete . Overall: Better organization and tracking of the information received from clients. Thanks for making the time to leave a review Krista! Both clients and professionals can delete files, our customer support team will send you a link to our knowledge base. Pros: I liked the ease of use and i think there is good security. My accountant set it up and we were able to keep track of what docs she needed. Thanks for the glowing review Brian! 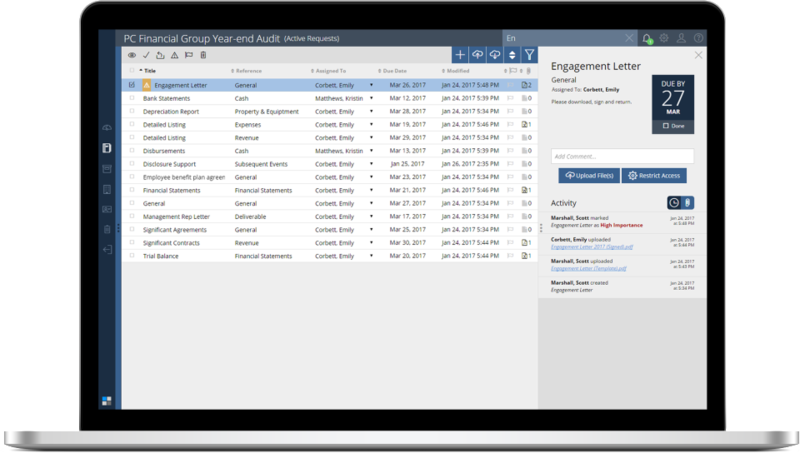 Pros: AuditDashboard enables the audit team and client team to collaborate together. Online interface makes it accessible to all team members. Cons: This is my first year using AuditDashboard, it's been easy to access and upload documents to auditor. Thanks for sharing a review Koral! Pros: Makes it super easy to share confidential documentation. Easy to upload and access documents, and I also like that I can leave comments. Cons: Found it a little too much that it tracks every transaction, even when a task is updated. I personally didn't find that information useful. Perhaps just track things that are important to the users, like documents uploaded or comments. Thanks for taking time to share a review Dorothy! 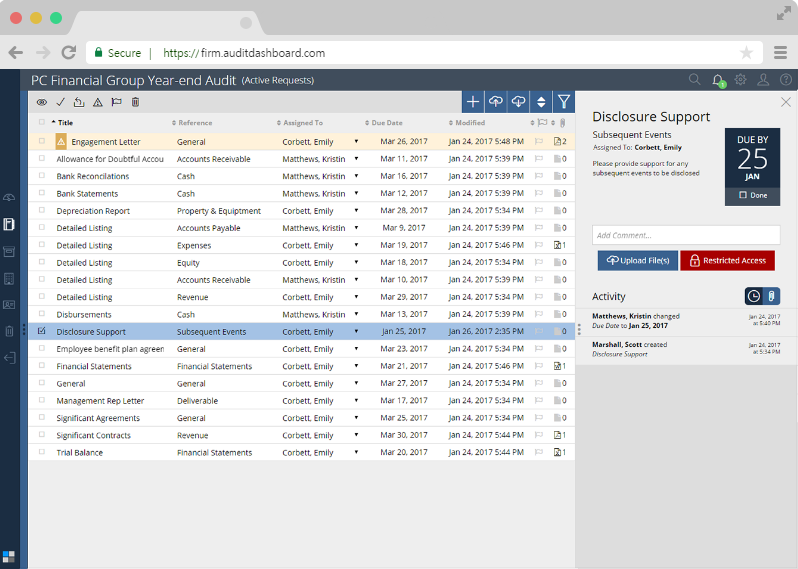 We're ecstatic to hear you found AuditDashboard super easy to share confidential documentation and access information. Excellent feedback about displaying every transaction in the activity feed. Thanks! Quick responses to issues or questions. Clients really enjoy working with the system. Pros: I like the comments feature where we can go back and forth with a client on what we need without sending a ton of emails. Cons: The setup isn't the most intuitive process. Having to remember to go and send the client the email to register is a strange step. It would be nice if the email was sent when you entered the client as a user on the job. Thanks for the glowing review and great suggestion about the registration email. Nice concept but needs a little more editing to make more user friendly with more options. Pros: Ability to track the information list. Ability for client to see the information they sent us last year. Cons: Sometimes have problems with the search. Would be helpful if client could mark as "complete" (and item would not show in their list but would still show on accountant's list) and then accounting firm could mark as "cleared" (which would be the same and the current complete. Overall: Some clients enjoyed it and we are looking forward to this year when they can see all the information they sent us last year. Thanks for the review and for continually sharing your feedback Kristin! Because you raised those search issues to our Customer Success team in February we were able to fix them the same week. You are absolutely right, your clients are going to love the second year when they can see all the information they sent last year. Pros: It's pretty easy to figure out on your own. Allows comments to be entered and attached to. Easy to upload attachments. Cons: As a user, it would be helpful to be able to check things off as done from my side once I've uploaded the required documents or assign different flags so I can track different levels of completion versus the auditors. I like lists so this was a helpful tool and easy to use. Pros: Customer support friendly and helpful. Easy to log in and navigate through the software. Being kept up to date with what information was wanted. Ease in uploading reports and excel spreadsheets. Cons: Updates lagged a little bit. Perhaps more training for quicker responses when tasks are completed so proof of progressive completing tasks can be seen. Overall: Made our audit good smoother. It is not user friendly. Hard to navigate or understand what it is displaying. Pros: It was easy to set up a user id and password. It looks professional. There is really not much more I liked. Cons: Not user friendly. Hard to navigate and does not easily display what is completed and what is outstanding. It shows the number of items in different categories, but you cannot click on them go deeper. Thanks for taking the time to share a review Anne. We're sorry you had such a negative experience. Don't hesitate to email our Customer Success Team at support at auditdashboard dot com if there's ever anything we can do to help! For example, we would love to share a private demo before your next audit to share a few tips and tricks.